Keith passed away suddenly and unexpectedly at his property “Rivendel” at Parawa on the Fleurieu Peninsula, South Australia, aged 69 years. Keith Forbes Walker was born in Aberdeen, Scotland on 20 June 1946. In 1951 his family emigrated to Australia and lived in Melbourne. Keith completed a Bachelor of Science (Honours) at Monash University then continued on to a PhD at Monash where his supervisor (and mentor) was Bill Williams, a pioneer in Australian limnology (study of inland waters). After completing his PhD he undertook postdoctoral studies at the University of Washington with the famous limnologist Tommy Edmundson and returned to another postdoctoral position with Ralph Slatyer at the Australian National University. While at ANU Keith took part in the first ecological review of the River Murray and thus began his more than 40 years work on the Murray. In 1975, Bill Williams became Professor of Zoology at the University of Adelaide and Keith was his first appointment. Keith was an outstanding teacher, he taught subjects in freshwater ecology, invertebrate biology and statistical methods. In 1986 he designed and presented Research Methods in Environmental Biology, which was based in statistics but importantly introduced students to the scientific method, the process of logical thinking, careful writing and a belief that ideas needed to be proven and developed quantitatively; all hallmarks of Keith’s way of science. In 1992 Keith was one of the inaugural winners of the Stephen Cole the Elder Prize Excellence in Teaching at the University of Adelaide. 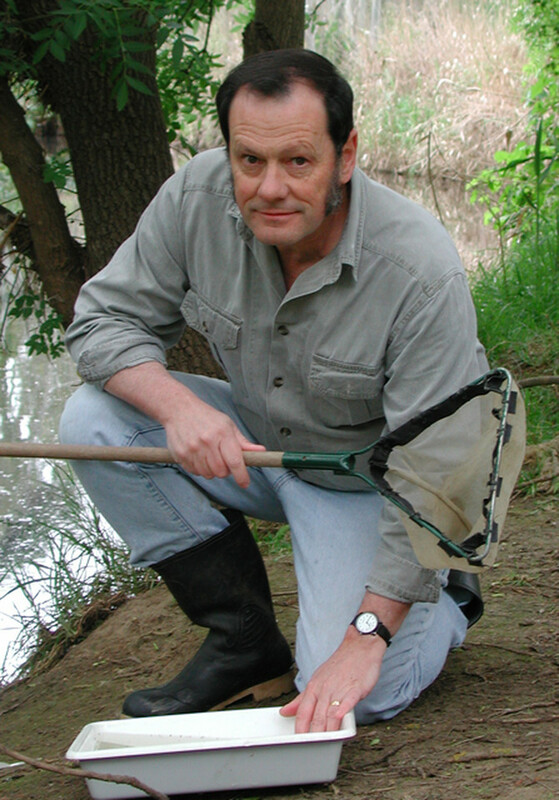 Keith’s research focussed on the ecology of floodplain rivers, especially the River Murray. Trained as a zoologist, Keith worked extensively with colleagues in botany, geomorphology, hydrology and engineering. From these collaborations, and nearly 200 research students, his research provided vast insights into our knowledge of Australia’s rivers and their floodplains, their ecological communities and the ways they were affected by flow regulation. Keith had a lifelong impact on all his students, many of whom have gone onto make significant contributions of their own to aquatic ecology and management. Keith was indisputably Australia’s most well regarded expert on the River Murray and his expertise was captured in 37 book chapters, more than 100 refereed journal publications and a further 40 refereed reports and conference proceedings. He received the Australian Society for Limnology Medal for excellence in research in 1993 and the Whitley Medal of the Royal Zoological Society (NSW) (with Paul Humphries) for the best book on Australian fauna in 2013. Keith’s publications informed an understanding of the striking ecological and physical changes to the lower River Murray caused by a series of weirs that transformed the lowland river with highly variable flow into a series of heavily regulated weir pools. Keith retained a love for the natural history of the River Murray, Murrundi, the native river. This was captured by his insatiable interest in freshwater mussels, another topic in which he was an internationally respected expert. Keith was also a wise voice in river and environmental management, sitting on many advisory panels. As a member of the Environmental Water Advisory Board Keith made key contributions to The Murray Darling Basin Plan that now provides increased environmental water to the Murray. In his committee roles Keith rarely seemed to have the loudest voice in the room, but such was his influence that when he did speak everyone listened. Keith was also an advocate of communicating science. Along with Geoff Petts and others in 1986 Keith formed a new journal focussed on research and management of large rivers, “Regulated Rivers: Research and Management” later “River Research and Applications” which continues to publish many influential papers on rivers. Keith was the founding co-editor and Editor for the Asia Pacific region and remained on the Editorial Board. Keith also wrote and spoke extensively for community based organisations, whether it was on the management of the River Murray or some aspect of local natural history. His communication of science was recognised through the Unsung Hero of South Australian Science Award received from the Australian Science Communicators in 2000. Keith passed away suddenly and unexpectedly in February 2016 aged 69, far too young. He had immeasurably more love to give his family, his wife Jan, children Jenny and Craig and his six grandchildren, and much more knowledge to contribute to the understanding and management of rivers in Australia. Since his retirement in 2007 Keith had been an Adjunct Associate Professor in the School of Biological Sciences and kept up a frantic pace of consultancies and publishing. Keith has left Australia with a great intellectual legacy through all those he taught and mentored. He will be dearly missed. Written by Dr Mike Geddes (Visiting Research Fellow, Ecology and Environmental Sciences, School of Biological Sciences, University of Adelaide) and Dr Fran Sheldon (Associate Professor, School of Environment, Griffith University). This entry was posted in Environment Institute. Bookmark the permalink.